As might have been expected I found some lovely things in China! I thought I would put these in a post rather than with the other pics I have been working on for a separate page so that they will appear in the tags at the side. 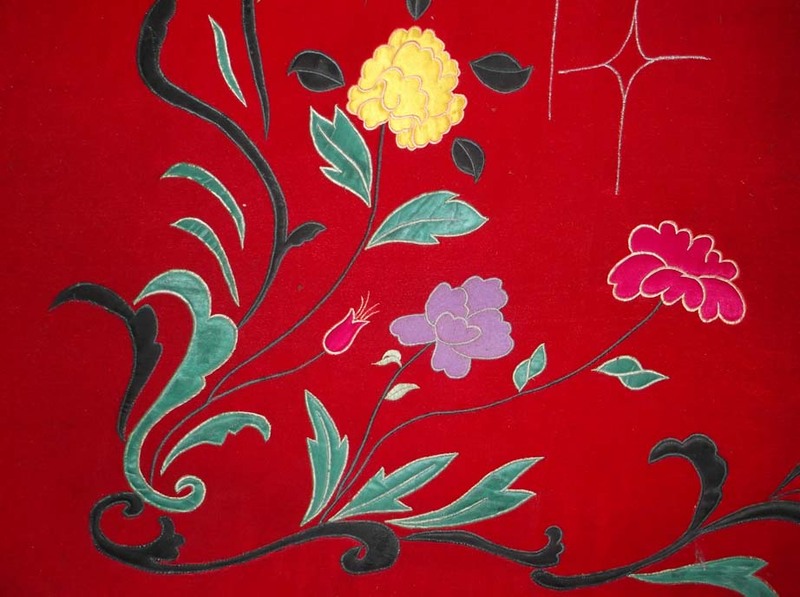 China is of course famous for silk and while in Guangzhou (which was formerly known as Canton) I went to the old 19th century area for a visit and found this beautiful piece of embroidery on silk in an antique shop there. There were many pieces to choose from but I bought the lion as that is a very traditional Chinese symbol. 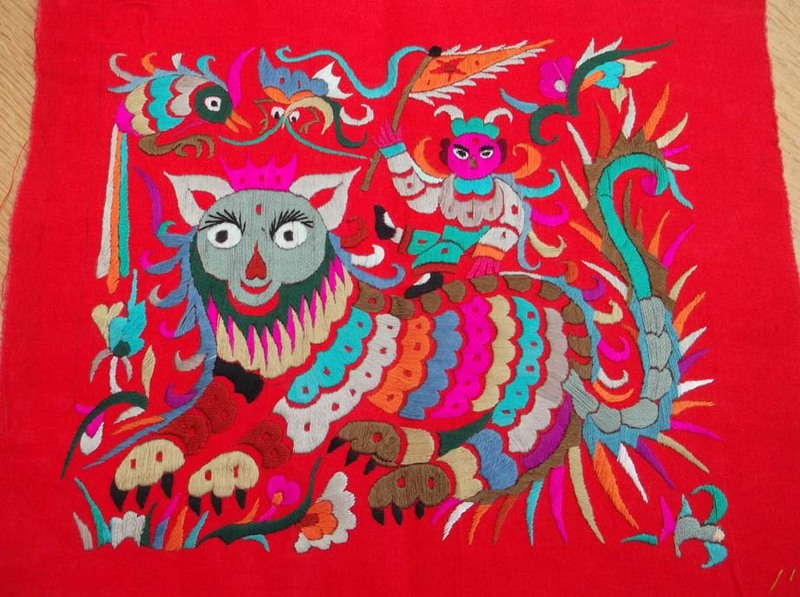 I love the bright colours and the detailed stitching. There were so many lovely things in the shop (that I could not afford) like caps and gowns and stitched shoes. 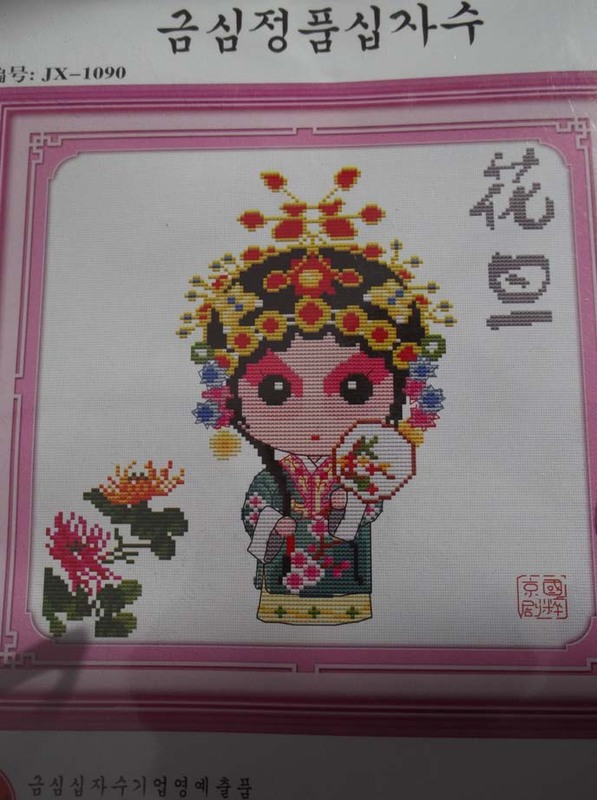 I also came across some lovely cross stitch kits – these were being sold by a street vendor on one of the bridges near the hotel I stayed at in Guangzhou and worked out at about £1 per kit so were a real bargain. 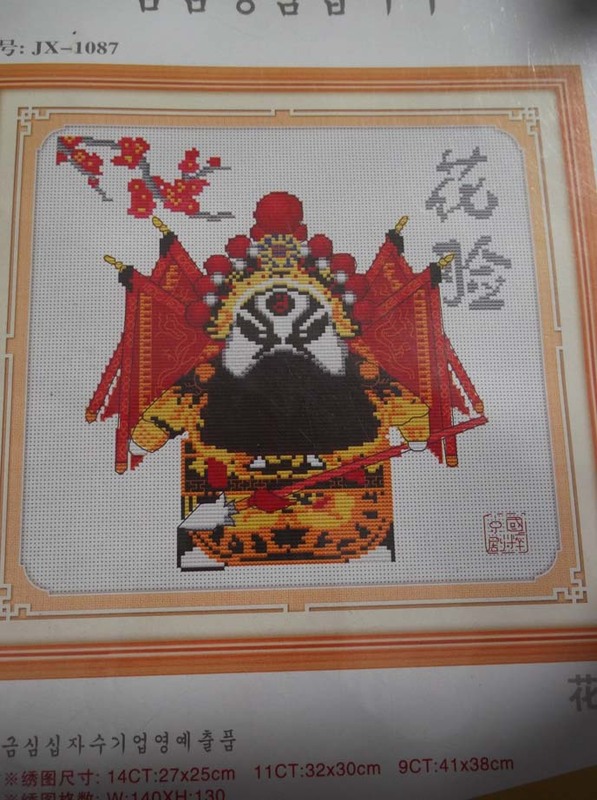 I have just started stitching the Emperor one to remind me of the dressing up with Mo that I posted about last time. The first group of people I worked with in the city of Shantou gave me a gift to say thanks at the end of the week which was very kind of them. I was thrilled when they gave me this beautiful set of local lace.There are about 12 of these in the set they gave me. 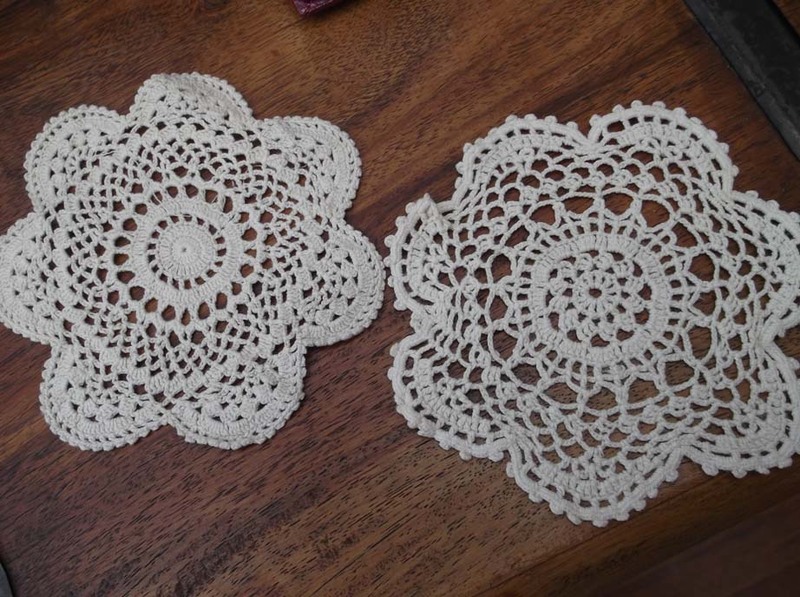 They told me that lace making was brought to the area by missionaries in the 19th century so they thought the present was appropriate as it was a blend of West and East which was so lovely. They didn’t even realise when they chose this gift what a textile addict I am so it was perfect! I was lucky enough to be taken out on a brilliant day’s tour of cultural sites when I was in Shantou. I spent most of my time in China teaching but had 3 rest days while I was there and the school I was working at took me to a historic house nearby where they had museum displays. 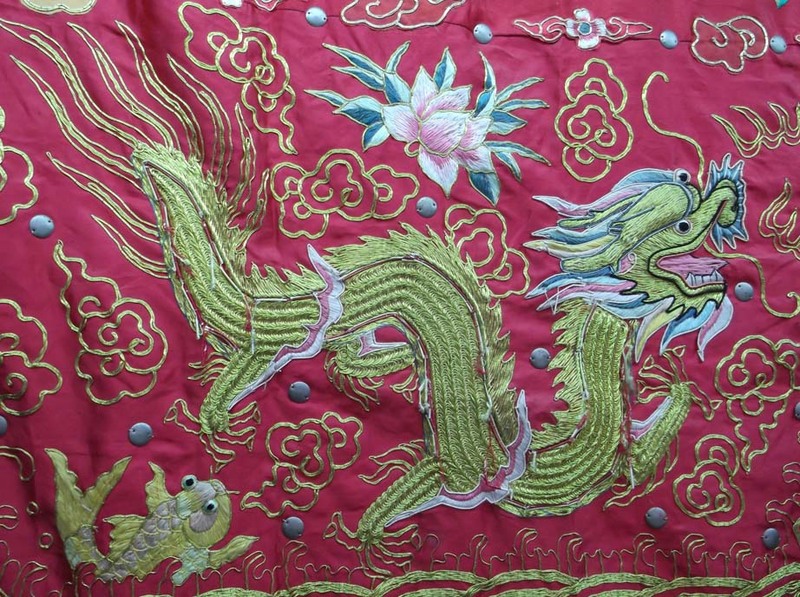 This is part of a wedding carriage and is appliqued embroidery on silk. 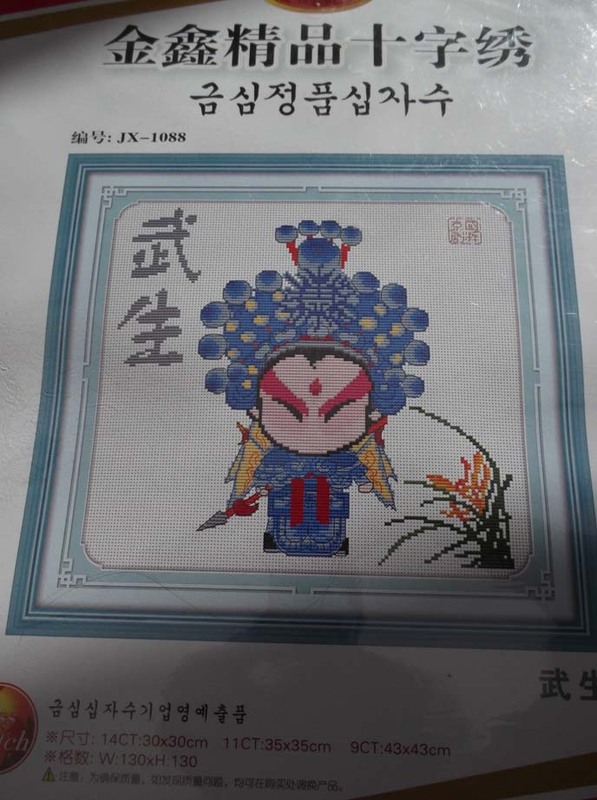 Puppet theatre has a long tradition in Chinese culture and in the same museum there was a puppet theatre display with beautiful goldwork side panels. I am still working on the rest of the pics to choose some for my page – I took so many so am spending a lot of time editing them and hope to post that at the weekend. Thank you for visting and see you all soon. It’s the most wonderful time of the year …..
What lovely goodies! 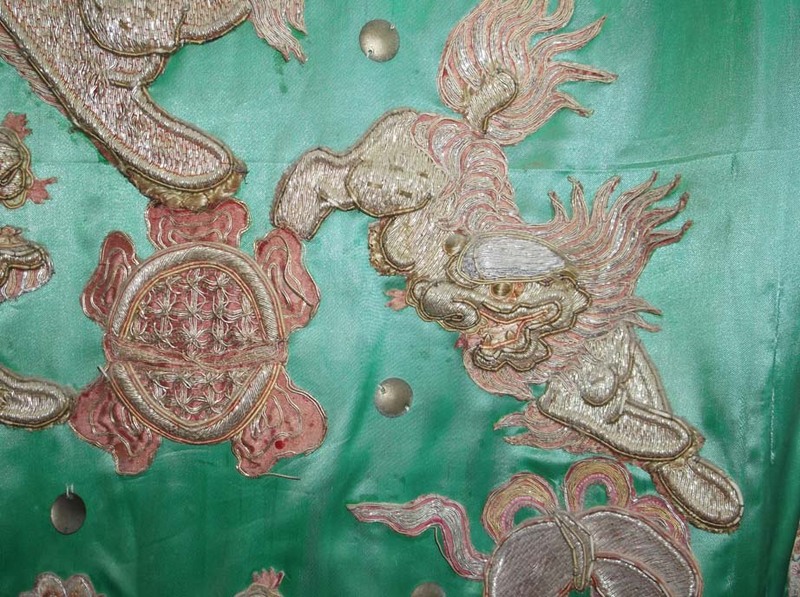 Have you decided what you’ll do with that fab embroidered silk? 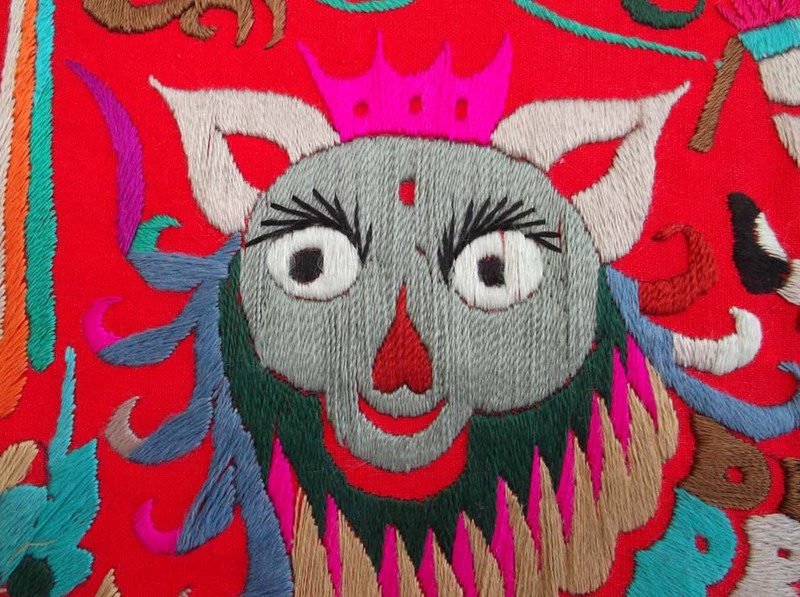 Oh my, these textiles are stunning and what a wonderful gift you received. I think the final piece is my favourite, the dragon has so much movement. Yes they are wonderful, I am going to frame my lion and put him in my lounge so that I can admire him daily.